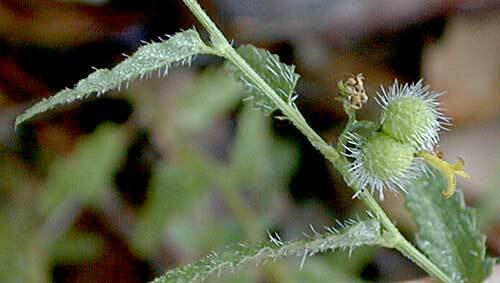 Notes: The low twining plant is covered by hairs that may irritate the skin. The group of 3 spheres covered by hairs are the fruit of th plant. There are separate male and female flowers. 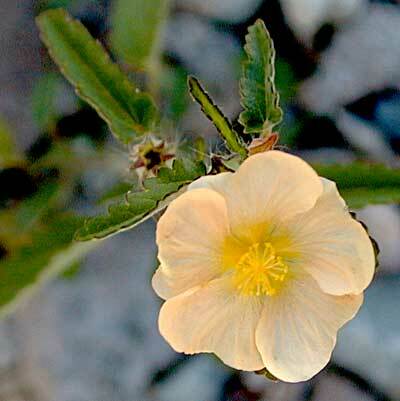 This plant is found on the Appleton-Whittell Research Ranch Working Check list of flora. Sonoita noseburn plant profile on the USDA Plants server.